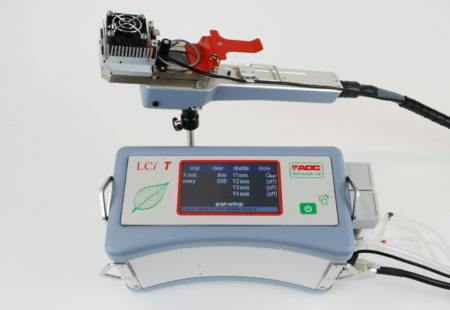 The LCi T compact photosynthesis system is a major development based on the hugely popular LCi-SD system. The LCi T benefits from the addition of a large, colour, touchscreen display; Integral GPS; programmable RGB or white LED light units and multiparameter graphing. Data entry and system control is made simple by the intuitive touch screen software. Swipe left or right to change to a different screen with measured parameters, calculated parameters or multiple graphed parameters. New, lightweight, LED light units supply even illumination to all of the chamber window area. The RGB LED light unit can supply 0 – 2,400umol of light and the white LED light unit can provide 0 – 2,500umol of light. 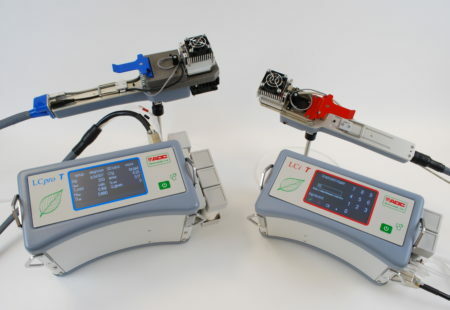 A stable, fixed light level can be maintained for all readings or an automated light response curve can be carried out to characterise a plants photosynthetic capacity. There are a number of interchangeable chambers, for different applications and different samples. By adding a 1L soil chamber, soil respiration measurements can be made in the field. The system is auto configured to measure an increase in CO2 and display net CO2 exchange rate. 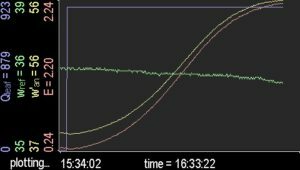 The new GPS module adds longitude, latitude, altitude and universal time data to every record making it easy to pinpoint where the data was collected from.